Since becoming a Christian I've had a couple really interesting encounters within the creation debate. I came to faith and a conservative Lutheran Church that maintained, as it's official stance, a Young Earth Creationism position. Now, as a new Christian, this was something that I wasn't against or even opposing, it was just something that I accepted as part of the Christian belief system. Within the first couple months of being a Christian I came across the likes of William Lane Craig and Ravi Zacharias. In sifting through all of their material I came across some articles and information about creation in the age of the earth. This is also about the time I came in contact with Richard Deem's website, God & Science. This website is a melting pot of information across a broad spectrum of topics. It, however, primarily focuses on the intersection of theism and science, and specifically Christian theism. One of the articles that I ran into was something talking about the creation days as long periods of time, and another article regarding a local, not global, flood. I was absolutely mesmerized by these articles having never heard the stuff before. This pushed me into some lay study of the creation debate. If we fast-forward about eight months or so, I came across an article at The Resurgence that was talking about different models of creation. One of the models that I was most intrigued by was the one that Pastor Mark Driscoll held which was Historic Creationism. This held that Genesis 1:1 was an undisclosed amount of time for the creation of the entire universe, Genesis 1:2 was the focusing in on the earth, and the rest of the chapter was the ordering and fashioning of the earth for human life. 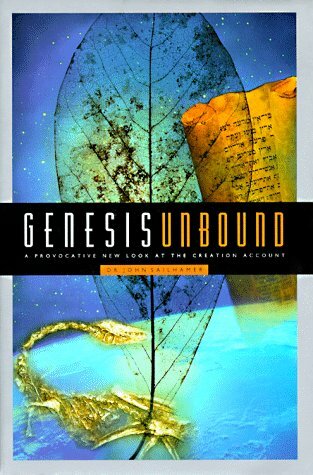 That article prompted me to read the book "Genesis Unbound" by John Sailhamer. If I could recommend one book to read regarding the creation dialogue and debate, it would be "Genesis Unbound." 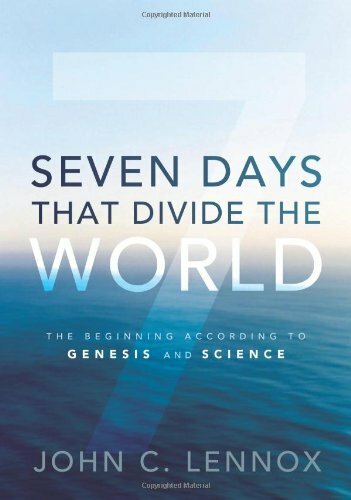 However, if I was to recommend two books to read in regards to the Genesis/creation debate the other would be "Seven Days that Divide the World" by John Lennox. How did I come to focus primarily on these two books in regards to the creation debate? The first reason is that I think that the Young Earth Creationism assumptions and deductions are terribly flawed, and make it appear as if God, though He could, actually worked at a super sped up pace. Now while this obviously could be true and possible, I just don't think it's plausible given the full corpus of Biblical text. It also flies in the face of much modern science, which unless you have some kind of conspiracy theory in place, you cannot cleanly put Young Earth Creationism and modern scientific discovery together. The second reason primarily has to do with John Lennox's book. In the book he argues that there is much more going on in the Genesis 1 narrative than people seem to see. He talks about the different definitions of the word "yom." He also has the same breakdown that says Genesis 1:1 is it's own creation act and proposition that could've taken an indefinite amount of time. He also (which in my opinion is one of the most fascinating things that he writes about here) points out the difference between taking something literally and literalistically. But we can save that for the next post. The final reason is that when you read Genesis 1 with its full range of possibilities, in the context of the rest of the biblical revelation, you come up with this beautiful symphony of possibilities. The reason I bring this up is because there are some camps in this debate that will maintain that if you do not believe in their particular view of the creation narratives, then you are compromising Scripture, and are not Christian. This to me seems very shallow, to say that the entire narrative is based around six literal days, a literal Adam, and a literal fall. Then if you question any of those things you're somehow compromising the entire corpus of Scripture. Our views of the creation narratives don't affect, in any way, whether not Jesus bodily rose from the dead. Now while I do affirm a literal Adam and fall, there is not, and has never been, a single monolithic view of these topics. That is to say that you can affirm that God created the heavens and the earth, Adam is a literal man, and an actual fall into sin within a beautiful range of possibilities of how we describe those things. So in conclusion for this post, I want to say that when we're looking at these perspectives on the creation accounts in Genesis 1, we need to be open to all of the possibilities of what could be going on here and realize that this is not just a simple English text. The Genesis 1 account, written in Hebrew, seems to be one of the more complex sections of Scripture. Considering, also, that it is the beginning of the Christian scripture, that seems to make a lot of sense that this would be the most dense and complicated text it all of the Bible. What we don't want to do is assume that if somebody doesn't believe our particular view they are somehow less Christian, or flat out rejecting the authority of the Bible. Whatever we conclude the text of Genesis 1 to mean, this does not reflect whether or not Jesus Christ actually/bodily resurrected from the dead. And the resurrection of Jesus is the foundation, first and foremost, for all of Christianity.